Blue is train and car mad. And he has been begging me lately to teach him his numbers. He can already count to 20 but he wants to know what the number looks like and how to write it (very determined that he must be able to do school work with big sister). 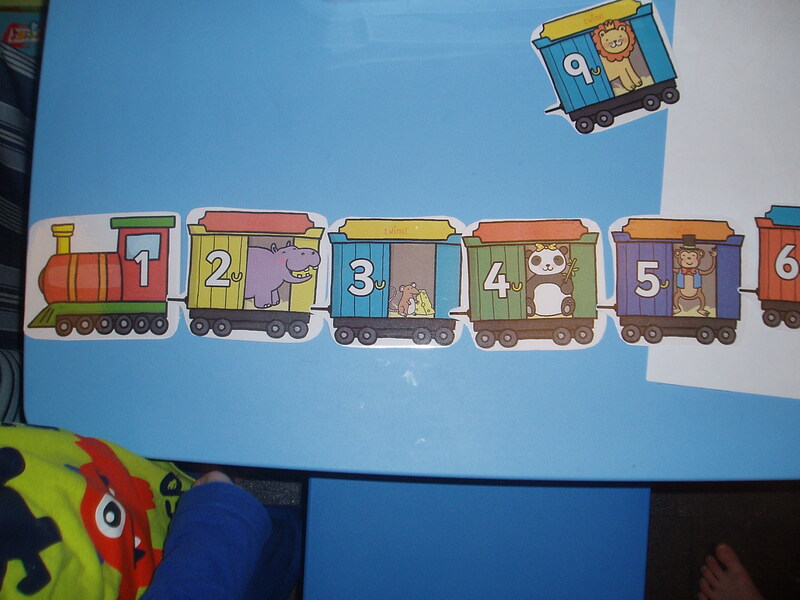 So I wanted to find something fun for him (I think he has now had enough of the hopscotch maths games) and was thrilled when I can across this number train from the Twinkl website. After Blue had sorted the carts for a bit Pink got out her bead sensory bin and we helped Blue put the correct number of beads in each carriage. This was also a fun way of checking Pinks understanding. I kept putting the wrong number of beads out and then Pink would correct me and tell me if I needed 2 more or 3 less etc etc. I love it when she practices her maths without even knowing it. 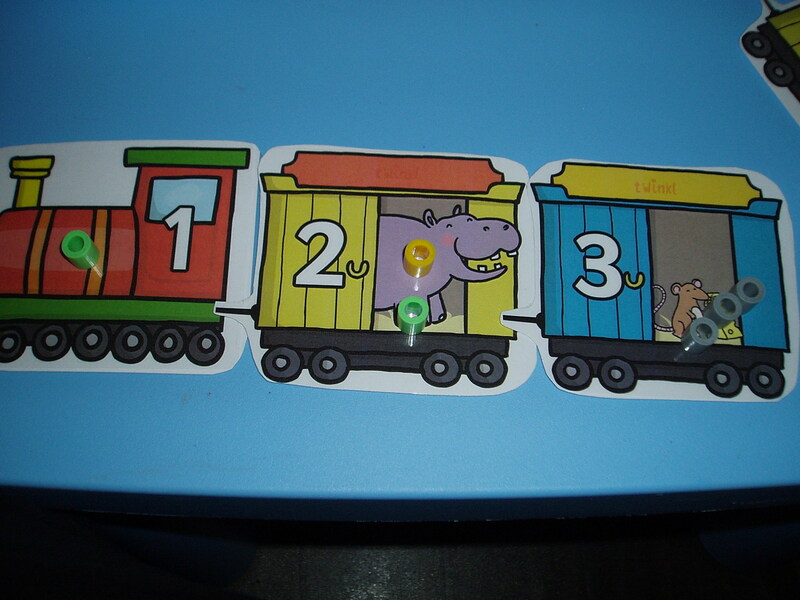 This entry was posted in foundation stage, ks1 maths and tagged learning numbers, numbers, trains. Bookmark the permalink.